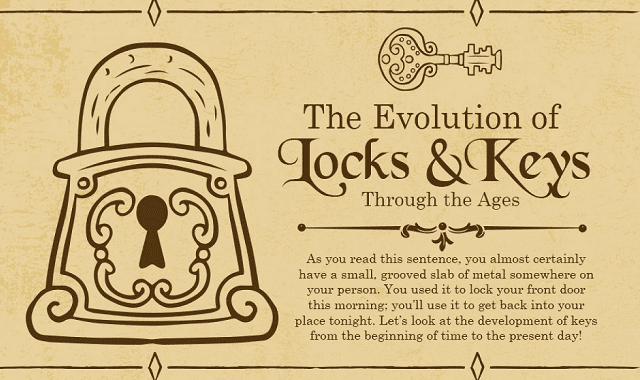 The Evolution of Locks & Keys Through the Ages #Infographic ~ Visualistan '+g+"
Locks have come a long way over the last 2,500 years. However, we had to start somewhere and many of the locks from even 500 years ago were highly effective at protecting our valuables. For example, the Bramah lock was considered the first commercially produced lock that offered very good security against manipulation. Find out more in the infographic.